the shoe named for you! 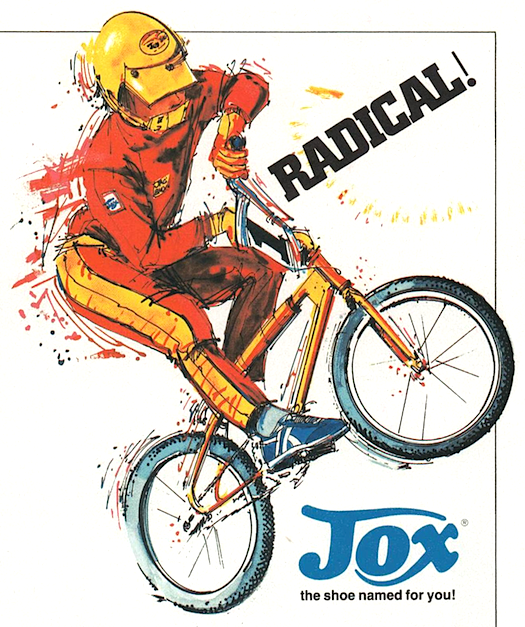 Whether you are into the radical sports … or the regular sports … whether it’s BMX racing or plain old biking … basketball or baseball … whatever the sport and however you play it … there’s a JOX shoe for you. Available only at Thom McAn. 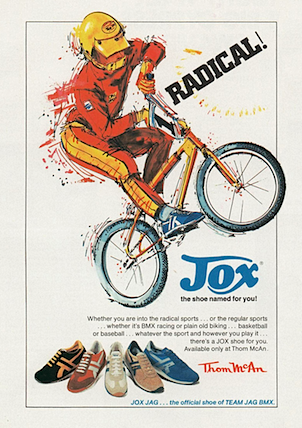 JOX JAG … the official shoe of TEAM JAG BMX. Pro-Specs Rookie "Set your own pick… on and off court." Thom McAn Jox Turbo, Jox 500 "Jox. 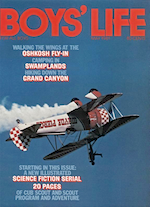 You'll love them, body and sole."